We utilize statistics in our daily life: when we evaluate TV program ratings, predict voting results, prepare stocks, make sales predictions, and when we evaluate the effectiveness of medical treatments, to name a few. We predict the results not on the basis of personal experience, but on the basis of data. However, the accuracy of the prediction depends on the data, the theory, and the depth of understanding of the model used. 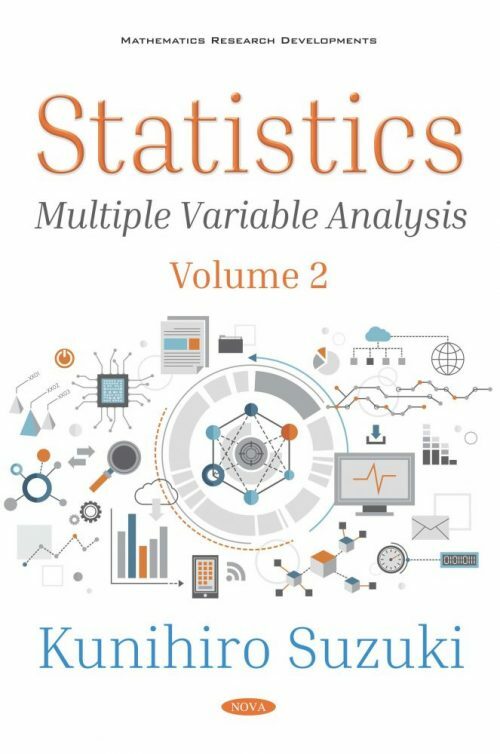 This book consists of three volumes: The first volume covers the fundamentals of statistics; The second volume discusses multiple variable analyses; and the third volume covers categorical and time dependent data analysis. In this volume, we cover multiple variable analysis. We frequently use many variables in the real world, and it’s important to study the relationship between these variables. First, we treat correlation and regression as two variables, and then extend to multiple variables. We also review various techniques to approach the many variables in this volume. In this book, we cover fundamental models to advanced models without skipping their derivation processes. We can then clearly understand the assumption and approximations used in each model, and hence, understand the limitations of the models. We also discuss almost all of the subjects in statistics, since they are all related to each other. Although this book includes advanced models, readers who are not statisticians can easily understand the content, since we work our way up the derivations from the fundamental level to advanced levels without skipping any. We do hope that the readers will come away with an understanding of the meaning of the models in statistics, and the techniques used to reach the final results.